Community Knights is joining the ranks of fairy tale heroes by sponsoring a faithful horse, Macy. She is a 19-year-old Quarter horse that provides therapy services through Dream Catchers at the Cori Sikich Therapeutic Riding Center. Macy has been a crowd favorite at Dream Catchers since 2009, where she provides gentle assistance for adults and children with physical, emotional, and developmental needs. Dream Catchers, located at the Cori Sikich Therapeutic Riding Center, improves the quality of life for individuals with physical, emotional and developmental needs by providing evidence-based therapeutic riding, equine assisted activities and advancing effective practices through professional education and research. Community Knights awarded a $5,000 grant through its GIFT (Grant Initiative Fundraising Team), which will supply Macy’s food, gear, shelter, and health needs for a year. Additionally, Macy’s saddle pad and halter are engraved with Community Knights’ name for training and events to show the community effort from both non-profit organizations. The grant will enable Macy to continue to help people improve their lives through the support that only a half-ton, velvet-eyed horse can provide. 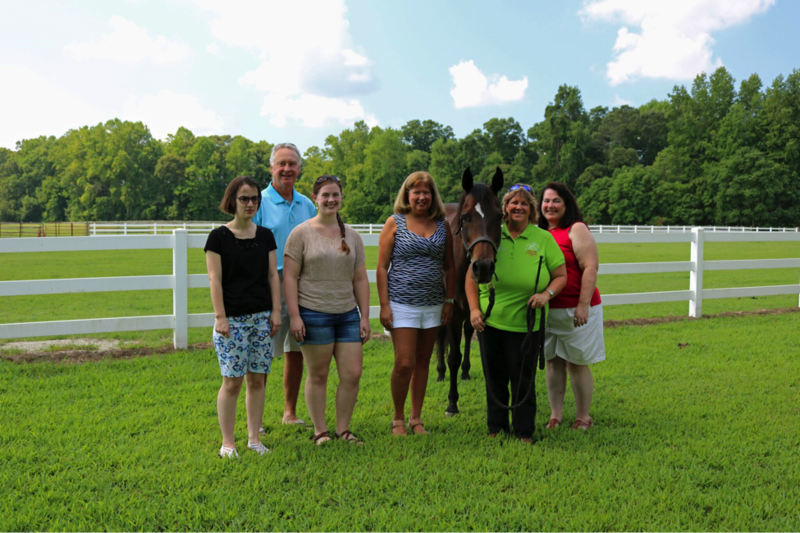 The Community Knights’ sponsored therapy horse, Macy, with representatives from Community Knights and Dream Catchers. (l to r) Brittany Brown; Tom Miller, M.D., Board President, Dream Catchers; Cassie Brown; Teresa Michener, CFO/Board Secretary, Community Knights; Nancy Paschall, Executive Director, Dream Catchers; Jennifer Brown, CEO/Board President, Community Knights.